As we move forward, we will explore 5 ways that can help each of us build our faith as firefighters. As firefighters, we are constantly about the business of reading, learning, and applying. The same disciplines hold true with building our faith. As firefighters we commit ourselves to life of study and constant learning; how much more so should we commit to the One who made us and loves us? The depth of our knowledge and understanding of something is a reflection of its importance in our lives. As a firefighter, what do you know the most about? What drives an individual to know something intimately on such a scale that it becomes part of his or her identity? In the fire station and on the fire ground, nothing is more vital than solid and effective communication. The depth and power of our performance is dependent upon the clarity of our communication. In our faith, this communication is prayer, which is communication with God. We will explain how we can have a close relationship with God through prayer. 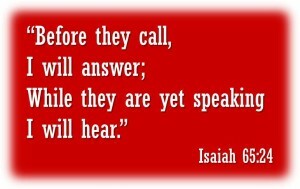 A firefighter understands the power of an unanswered radio transmission; in prayer, God hears all of our prayers. Through training, firefighters are given the tools to take what they know and what they desire to do, and develop them into a skillset. To build our faith as firefighters, we begin as we do on the training grounds: surrounded by others who are seeking to learn and with the proper instruction. As in training, we perform endless repetitions so that they become muscle memory. Our spiritual training gives us the confidence we need to share our faith in our lives. As in firefighting, our knowledge without application is wasted. Firefighters are blessed to see the ‘fruits of their labor’ first hand and the impact they have upon others’ lives. This is where our faith is exercised. When we boldly step out in faith by sharing our faith, defending our faith, living out our faith (at home and at work), we see the results of our hard work, through the changed lives in our community. Whether tragic circumstances seem to prevail, our efforts have a profoundly important effect upon the lives of those we serve. Our faith will empower us to make an even greater impact if we would so choose to embrace it. In the fire service, it is vital to surround ourselves with like-minded individuals to fuel our “fires.” So as in our faith, we need to be surrounded by spiritual mentors, accountability partners, and those who encourage us along the way. This is vital for our continuous growth in faith by having solid relationships with others who help build us up. Many firefighters have been in bad environments (negative fire stations, bad assignments, that “one” co-worker, etc.) and have suffered the ill effects from it. Thus, we also know the power of being surrounded by positive and encouraging leaders. We know the power of a passionate fellow firefighter who helps to lift our spirits on a daily basis. We know the power of a brother or sister who holds us accountable to our commitments. Each one of these examples are examples of a fuel rich environment where the flames of our faith will continue to grow. As we explore each one of these areas and their importance to us, take a moment and perform a self-evaluation. Before the next article begins, take the time to look at each of these areas in your own life and conduct an honest assessment of them. Where are you strongest? What is your weakest area? The next few articles will provide examples of application to improve upon each area. For myself, I fall short in the area of communication. I pride myself in my radio traffic and have spent hours listening to the radio to help improve my skills. Yet, I fall short in the greatest communication there is: with God. I offer my own failings to the reader, in the hope that each one who reads these will find something they can learn from, apply in their life, and know that it’s okay if we fall short. For God does not expect us to be perfect but He does want our love and our loyalty. Great article, I love seeing strong Christians in the fire service! Thank you guys for your advice, personal experiences and dedication to this site, we read your articles and are eager always better ourselves, thank you.